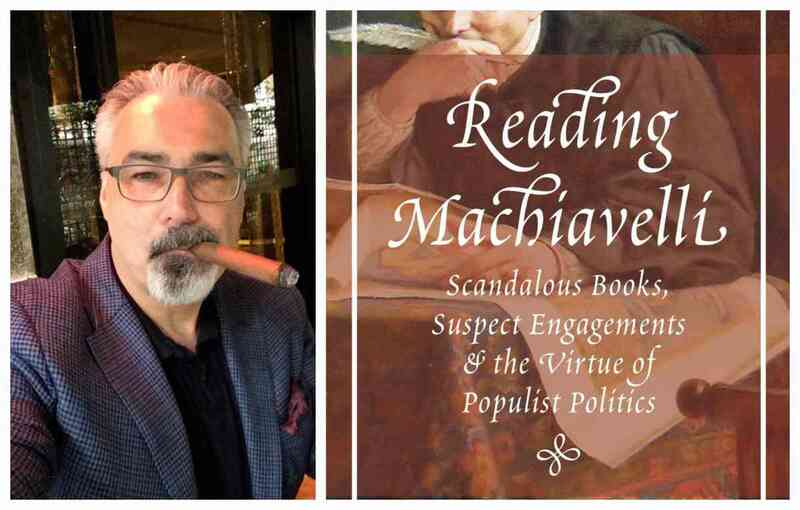 John McCormick discusses Reading Machiavelli. He will be joined in conversation by Jennifer Pitts, Sankar Muthu, and David Lay Williams. A Q&A and signing will follow the discussion. About the book: To what extent was Machiavelli a "Machiavellian"? Was he an amoral adviser of tyranny or a stalwart partisan of liberty? A neutral technician of power politics or a devout Italian patriot? A reviver of pagan virtue or initiator of modern nihilism? Reading Machiavelli answers these questions through original interpretations of Niccolò Machiavelli's three major political works--The Prince, Discourses, and Florentine Histories--and demonstrates that a radically democratic populism seeded the Florentine's scandalous writings. John McCormick challenges the misguided understandings of Machiavelli set forth by prominent thinkers, including Jean-Jacques Rousseau and representatives of the Straussian and Cambridge schools. McCormick emphasizes the fundamental, often unacknowledged elements of a vibrant Machiavellian politics: the utility of vigorous class conflict between elites and common citizens for virtuous democratic republics, the necessity of political and economic equality for genuine civic liberty, and the indispensability of religious tropes for the exercise of effective popular judgment. Interrogating the established reception of Machiavelli's work by such readers as Rousseau, Leo Strauss, Quentin Skinner, and J.G.A. Pocock, McCormick exposes what was effectively an elite conspiracy to suppress the Florentine's contentious, egalitarian politics. In recovering the too-long-concealed quality of Machiavelli's populism, this book acts as a Machiavellian critique of Machiavelli scholarship. About the author: John P. McCormick is professor of political science at the University of Chicago. His books include Weimar Thought (Princeton) and Machiavellian Democracy. About the interlocutors: Jennifer Pitts is Associate Professor of Political Science at the University of Chicago. Her new book, Boundaries of the International: Law and Empire, was published by Harvard University Press in spring 2018. She is a co-editor of the Cambridge University Press series Ideas in Context. At the University of Chicago, she is a member of the faculty boards for the Human Rights Program and the Stevanovich Institute for the Formation of Knowledge. Sankar Muthu is Associate Professor of Political Science at the University of Chicago. He has held fellowships from the Institute for Advanced Study, the National Endowment for the Humanities, the Mellon Foundation, and the Social Sciences and Humanities Research Council of Canada. The author of Enlightenment Against Empire (Princeton University Press), he is also the editor of (and contributor to) Empire and Modern Political Thought (Cambridge University Press). Professor David Lay Williams teaches and conducts research in political theory, especially the history of political thought. He is the author of Rousseau’s Platonic Enlightenment, Rousseau's 'Social Contract': An Introduction, and numerous articles on thinkers ranging from Plato to Jürgen Habermas and topics such as democratic theory, the separation of powers, social contract theory, religion and politics, terrorism, institutional design, political ontology, fear, love, and deception.